Conservative Leader Andrew Scheer says he won’t take steps to roll back legal cannabis if his party wins power in 2019, signalling a firmer stance from the opposition leader after ambivalent messaging. 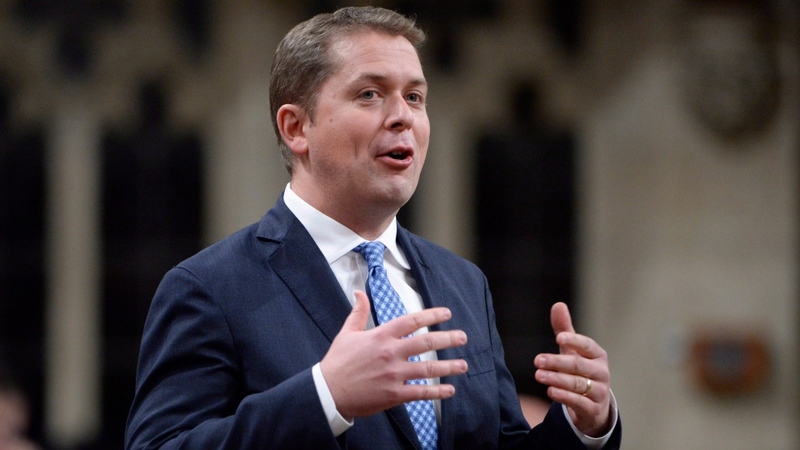 Scheer, who would not commit one way or the other to keeping pot legal in an interview with CTV’s Power Play last week, clarified his position Wednesday in a French-language radio interview. Scheer said Conservatives won’t reverse the law if they take control, but he still left the door open for changes. Those comments come six days after Scheer struck a more ambiguous tone on the future of cannabis. Scheer told CTV’s Don Martin last Thursday that the Conservatives would “examine the reality on the ground” before making a decision to keep or kill the pot regime. Scheer’s own health critic, Ontario MP Marilyn Gladu, contradicted him on the issue, saying it would be “very difficult” to reverse legalization because rules were already in place and Canadians had invested in the industry. Sources also told CTV News that Scheer’s wait-and-see approach prompted opposition from within his own office, with some team members urging him to publicly state that he had no plans to undo legalization. Prime Minister Justin Trudeau promised to legalize cannabis during the 2015 federal election, touting a government-regulated market as the best way to keep pot out of the hands of young people and end the black market. Cannabis sales began nationwide last Wednesday. In the first week of legalization, cannabis sales have been mixed. The BC Liquor Distribution Branch said on day one there were 9,175 cannabis sales online and 805 in-person sales at the province’s lone physical store in Kamloops. Sales in B.C. dropped about 70 per cent on the second day of legalization.